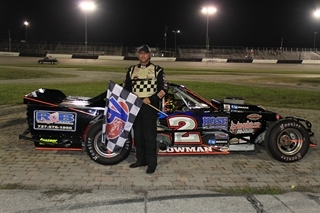 Scott Lockwood, Bradenton, FL – Ralph Bowman delivered an early Mother’s Day gift with a wire-to-wire win in the 25-lap Open-Wheel Modified feature Saturday night before a packed house at Full Throttle Speedway. St. Pete’s Bowman grabbed the lead at the start and was followed closely by Cape Coral’s Steve Arnold. Six laps in, L.B. Skaggs got around Wayne Jefferson for third and started closing on Arnold for second. Four laps later, Jefferson and Eric Rudd got together in the middle of the back stretch, sending Jefferson into the wall and ending his night. On the restart, Skaggs quickly got by Arnold, only to see his night end with a blown engine three laps later. As Bowman stretched his lead to nearly the length of one of Full Throttle’s straightaways, the transmission failed on Arnold’s car with and sent him into the turn three wall with just a handful of laps remaining. Bowman was never challenged on the restart, winning easily over Rudd and Bradenton’s John Shields. Shawn Harper and John Rogers were the only other cars still running at the finish. Arnold won the night’s other heat race. 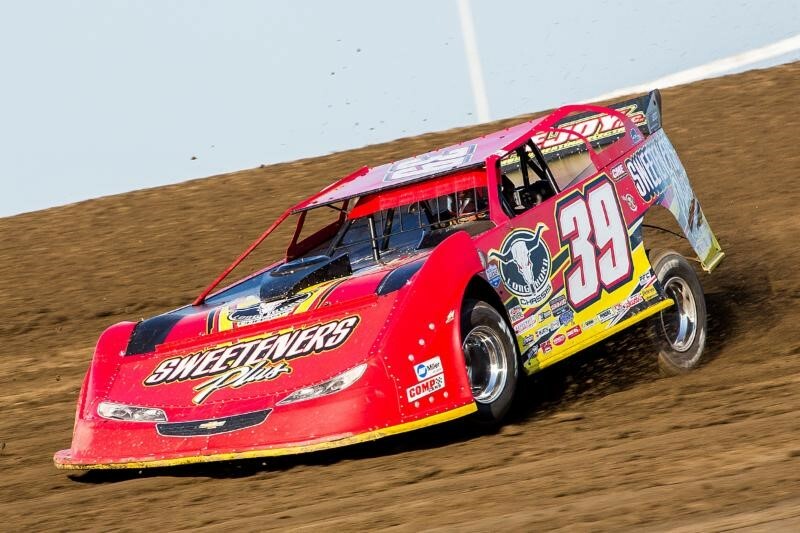 In the Late Model Sportsman division, Gary McFall looked to prove that his heat race win was not just a stroke of luck. Starting from the pole, McFall grabbed the lead from outside polesitter Mark Peterson, who won the night’s other heat race. By the time the field reached the third turn of the first lap, George Gorham Jr. took second place from Peterson and got to McFall’s tail at the end of the first lap. Aaron Williamson grabbed third from Peterson at the end of the third lap. Williamson made several attempts to get by Gorham over the next several laps, but could not make the attempts stick going into the straightaways. McFall, Gorham and Williamson ran nose-to-tail over the middle stages of the race until McFall started inching away from the field. Deep in the field, a side-by-side battle between James Dubose and Mark Nelson broke out in the latter stages of the race. The duo ran the last five laps side-by side, with Dubose getting the position at the line. McFall was never seriously challenged over the final laps and took his first feature of the year. Nick Hernandez led a field of 14 Pro Trucks to the green in their 25-lap feature event. Hernandez picked up right where he left off after winning his heat race, jumping out to the early lead over Todd Bontrager and Michael Burns. The top three pulled away over the first dozen laps until Bontrager got loose coming off turn four and spun into the infield to bring out the caution. On the ensuing restart, Burns used the high line to get by Hernandez for the lead and held it until another caution came out for a spin involving Richard Nelson. Another restart brought another caution when Dennis Colletti, who won his heat race, and Danny Anderson got together in the middle of turns one and two. Colletti was sent to the rear after the incident. Burns used the inside line to his advantage on what would be the final restart, pulling away from Hernandez over the final 10 laps on his way to the win. 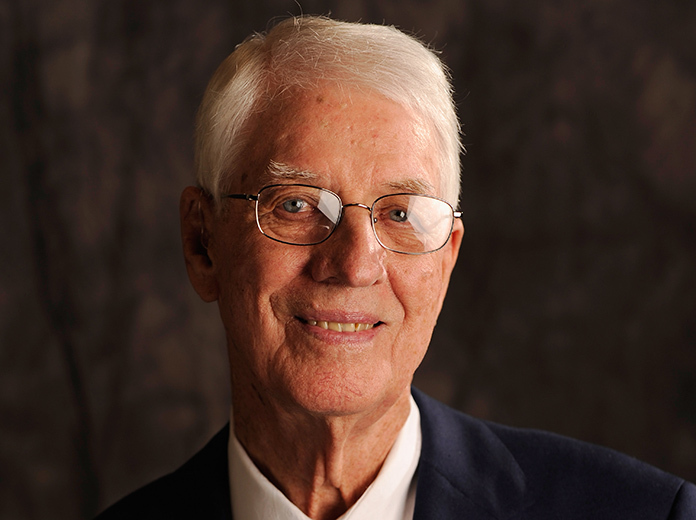 Anderson finished third, while Gerald Campbell and John Inman rounded out the top five. In other action, Sherri Best won both the heat race and the feature in the Rookie 4 for the second week in a row. 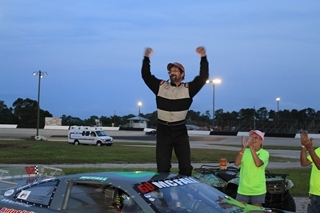 John Pummel took the win in the 10-lap Cowboy Cadillac feature. 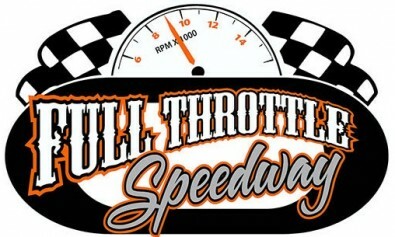 Full Throttle Speedway returns to action on Saturday night May 18th when a host of some of the best Super Late Model Drivers are expected to come do battle for 75 banks on the 3/8-mile high-banked oval. Fans will get an opportunity to meet their favorite Super Late Model drivers and get autographs during the intermission period. 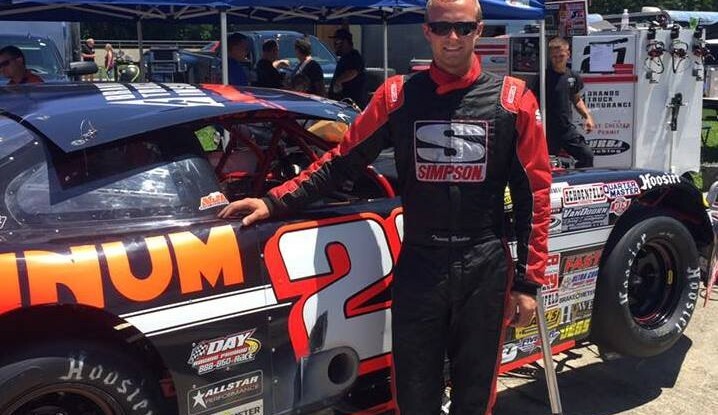 Street Stocks, Pro and Rookie 4’s, T.Q. Midgets, Modified Minis and Road Warriors will also be in action.